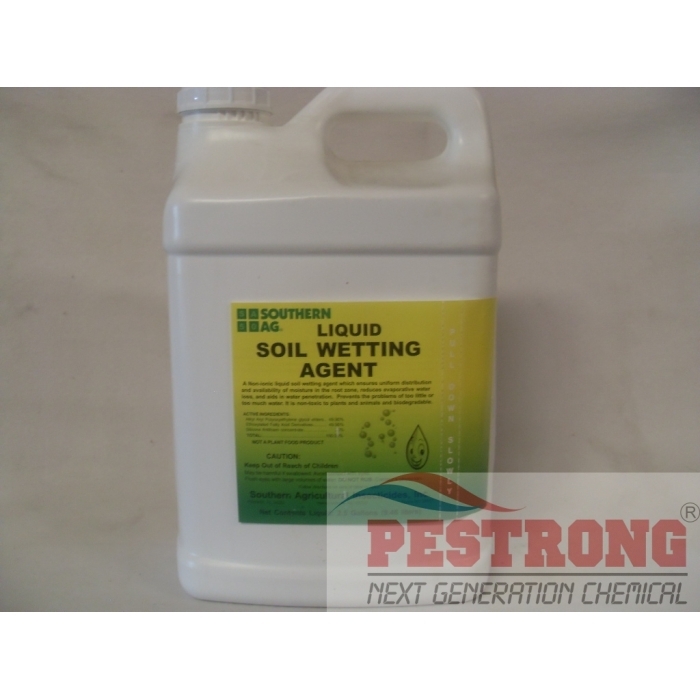 Where to Buy Liquid Soil Wetting Agents, Soil Wetting Agent Non Ionic Liquid - 2.5 Gallon - $109.95 for Sale with Fast Free Shipping! 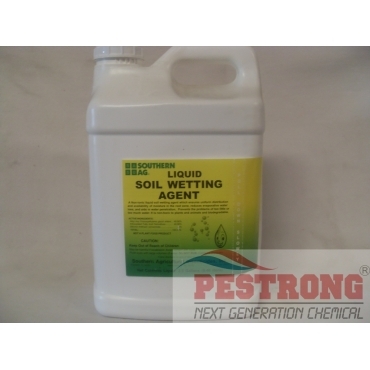 Soil Wetting Agent Non Ionic Liquid - 2.5 Gallon ensures uniform distribution and availability of moisture in the root zone, reduces evaporative water loss, and aids in water penetration. By buying this product & leave product review you can collect normally 10 reward points as a voucher of $1.00(1%). Barricade 0.48% DG Prodiamine Granular - 50..
Methylated Seed Oil (MSO) Surfactant.. Prevents the problems of too little or too much water. It is non-toxic to plants and animals and biodegradable. Where soil penetratioin of pesticides are desired. Use 8 to 16 ounces per acre or 100 gallons of spray. Add to the spray tank after other materials have been thoroughly mixed with water. Liquid Soil Wetting Agent may increase the possibility of plant injury from pesticides. Do not use on plants in bloom. Initial - 2.5 gal/acre or 8 oz per 1000 sq.ft. Problem areas - Apply weekly until problem is elleviated. Trees- 32 oz/100 gals of water. Drench with 3 gals. of solution per foot diameter of hole. Beds- 8 oz/5 gals. of water/1000 sq.ft. or 2.5 gals. in 50 gals. water/acre ,water in thoroughly after application. 8 oz/ 5 gals of water/1000 sq.ft Water in thorougly. Hydroseeding: 32 oz./500 gals. Use during hydroseeding to of water in improve establishment of seeds hydroseeding and to reduce erosion. Solved a problem area of lawn that receives full sun. Water now soaks in immediately and the area does not seem to dry out as quickly as before. Made two apps a couple weeks apart at the recommended rate and the grass is much happier. comparable to the stuff you buy at the local shop. works well!